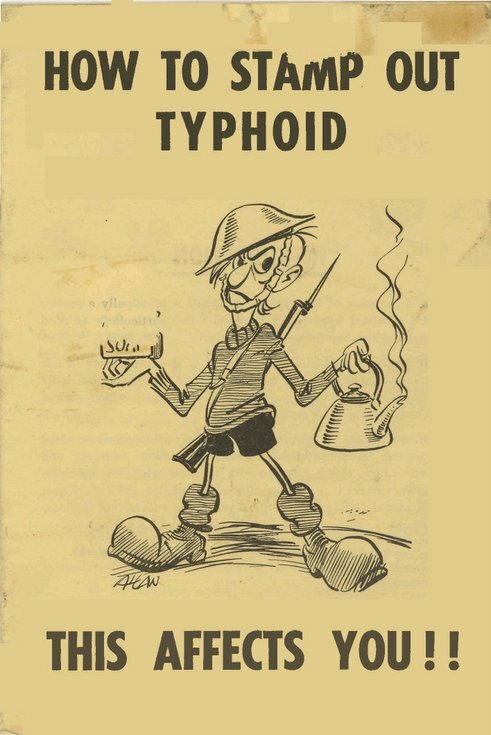 How to Stamp Out Typhoid - This Affects You!! Produced by the Corporation of the City of Aberdeen and distrbuted to Aberdeen businesses in June 1964. 12 pages stapled. This was in the old Dornoch post office while it was used as a tourist and admin. office by the Highlands of Scotland Tourist Board.